My mom has this pretty ceramic plate that she threads with various ribbons for special occasions. It’s a beautiful way to serve cookies and cakes, but it’s obviously cost-prohibitive to be handing those out as gifts left and right. Even though cookie tins are significantly less expensive, the cost of those can add up as well. 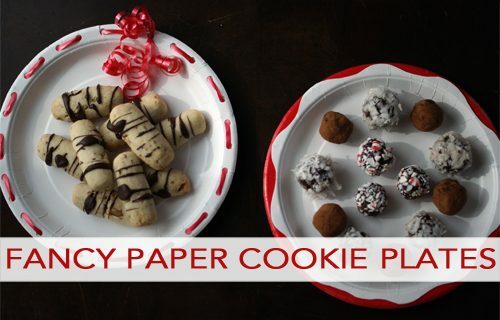 Creating “fancy” cookie plates out of inexpensive paper plates may just be the solution. These plates really offer an adorable presentation at a fraction of the cost. They’re perfect for gifts and even for pot lucks because you don’t have to worry about getting your plate back at the end. 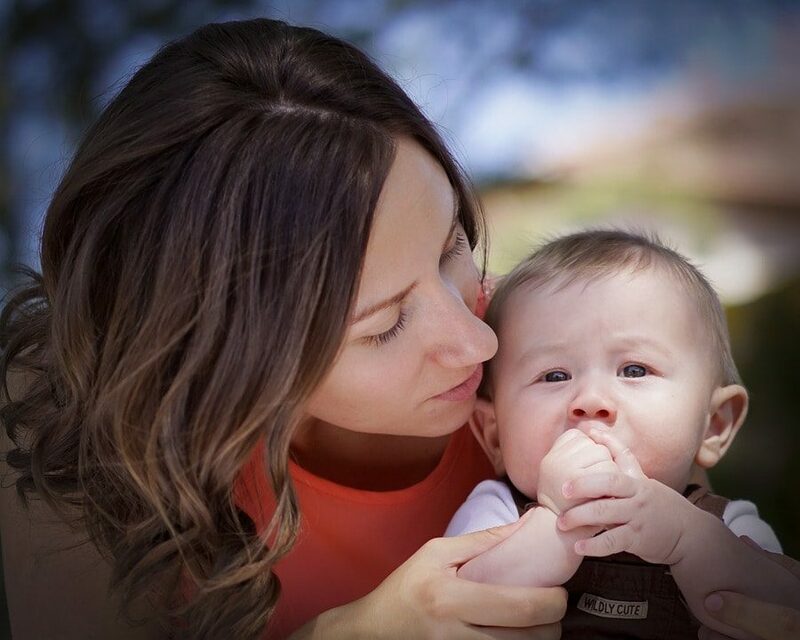 And they’re easy to make and personalize in the colors and designs of your choice! For the ribbon plate, hole punch around the edge at evenly spaced intervals (mine are about 1″ apart). Then carefully thread the ribbon through the holes, making sure it doesn’t twist as you go. Once you get back to the top, tie the ends together in a big knot and use the scissors to curl the ribbon. Add a second plate underneath for stability. For the two-layer plate, simply cut a design around the edge of the plate with your scissors. (For a smaller, more consistent design, use pinking shears.) Layer with a second plate in a contrasting color.